Geraldine Theresa Clarke (nee Donahue), aged 85, passed away November 10, at home in Stratford. Peter, her husband of almost 60 years, was by her side. Gerry was the mother of Cathy (Sandy), Linda (James), and John (Danita). She was the devoted grandmother of four: Noah, Kristen, Megan, and Keigan. Gerry was born on August 23, 1932 in Moncton, New Brunswick. She was the youngest daughter of seven children. After completing high school, Gerry trained to be an x-ray technician and worked at the Moncton Hospital for three years. It was a job she loved and talked about through her life. She met Peter at a dance in Point Du Chene, New Brunswick, when they were just 17 years old and they have been together since. Gerry had many passions and was a great storyteller. Her humour was legendary. 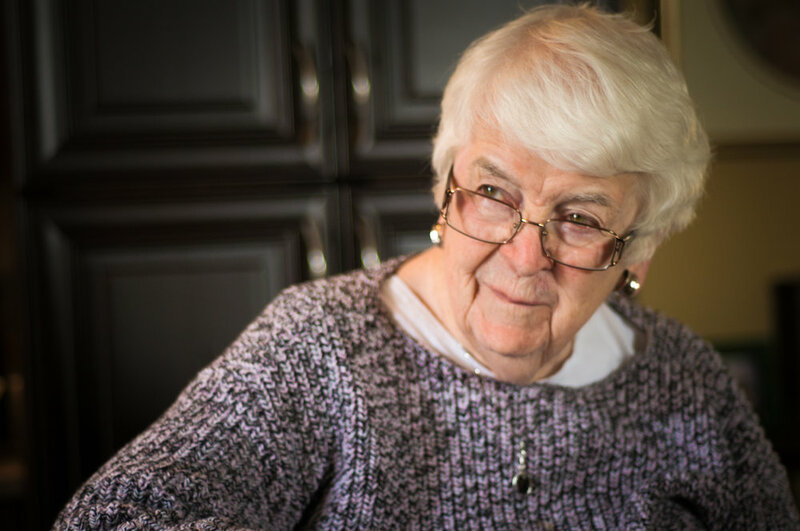 She relished conversation and loved political news and debate. With Peter, she traveled widely and always ranked Canada as her favourite place. Gerry knew the challenges of living with multiple health problems. One of the things she was most proud of in Canada was the fine health care system. As she grew older, she became more vocal about the importance of compassion and care for the sick and vulnerable. Gerry lived a commitment to a diverse and open community. Care of the vulnerable, especially children at risk, was a cause close to her heart. In her last years at Cedarcroft Place, she was a friend and comfort to many. Her style, her whistling, her commitment to growth at any age, her love of Peter, her supportive family and their loud voices and laughter, her kindness to others, left a deep mark on many and made her family proud. A memorial service will be held for Gerry at a future date. Memorial donations may be made to L'Arche Canada Foundation.